We’ve been thinking happy thoughts of Spring and fresh vegetables. 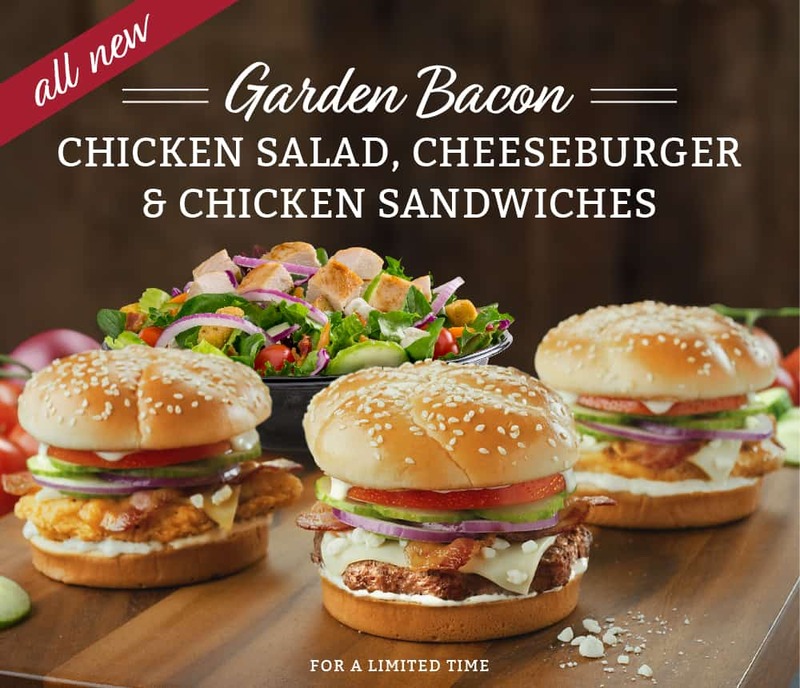 So it’s no surprise that our newest creation, the Garden Bacon Sandwiches and Salad, are loaded with some of our Spring favorites. Try our delicious Garden Bacon Salad loaded with Grape Tomatoes, Cucumbers, Red Onion, Bacon Crumbles, Tangy Feta Cheese & Ranch Dressing on top of a bed of Spinach, Romaine & Field Green Lettuces. Choose Grilled or Crispy Chicken to top off this Spring masterpiece. Craving a hearty sandwich instead? Choose a Burger or Chicken (Grilled or Crispy) Sandwich loaded with a slice of Mozzarella Cheese, Tangy Feta Cheese, Crispy Strips of Bacon, Red Onion, Cucumbers, Tomato & Ranch Dressing on our homemade Sesame Seed Bun.